Okay anyways, taste wise you get the orange peel citrus slightly sweet wheat taste with this beer, but without the crazy unneccessary bite. No lemon or orange is necessary, I'm serious about this people. Don't put a damn lemon in my Franz. Also another sidenote this beer is great if you are at a bar with some of your friends and they don't like beer. Tell them to try this and I guarantee they will like it. 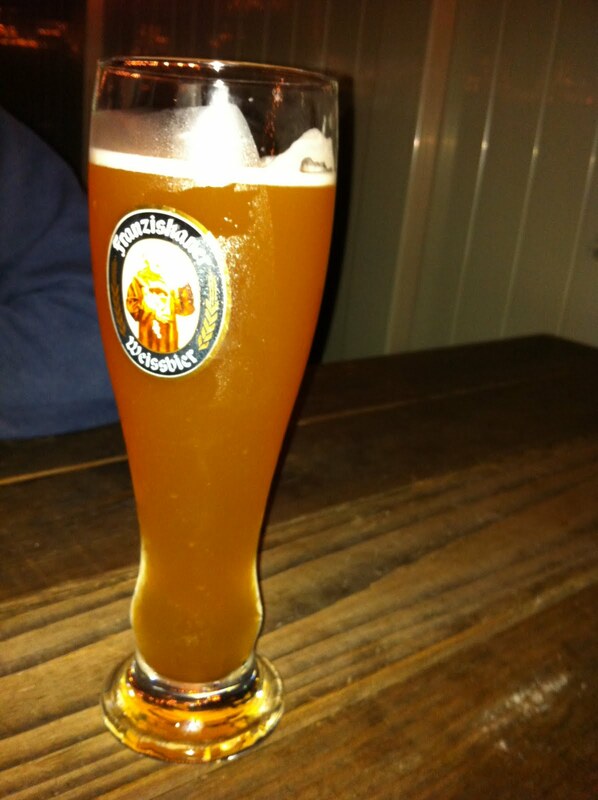 I'm about 5/5 on introduction between Franziskaner and a friend.